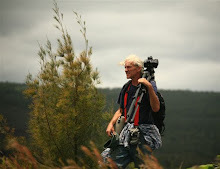 Hawaii Volcano Observatory (HVO) is sponsored by the United States Geological Survey (USGS). 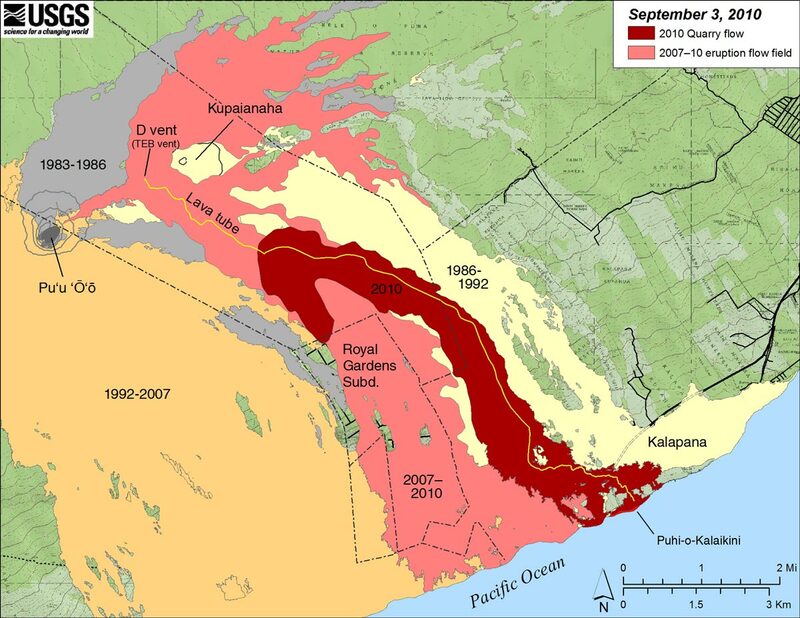 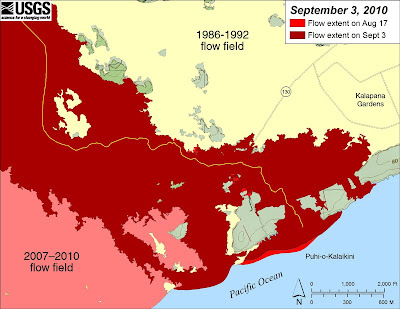 This combination has for many decades produced a large array of data collection methods, geological & seismic studies, warning systems, public access areas, and historical records of Hawaii Island’s volcanic activity. 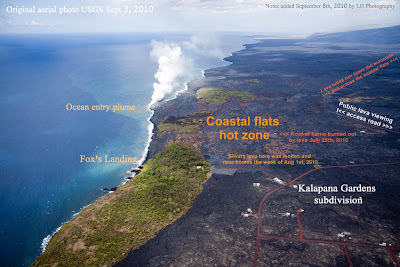 Mauna Loa and Kilauea Volcano’s are likely the most monitored, studied and accessible of all the worlds active volcanoes. 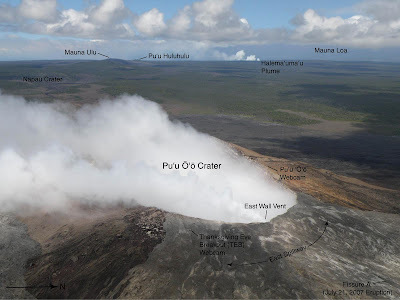 In the larger view size you can easily see the fumes from the lava tubes leading to the ocean entry, and if you look closer yet you may notice the stress fractures forming all along the new lava bench, especially near the entry point. These cracks are showing all the signs of fatigue and may be where the bench collapses in the hours or days ahead. 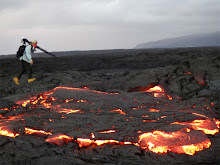 These new lava benches are extremely dangerous to be walking on or near to. 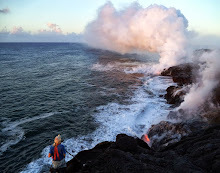 ****Meanwhile, molten lava continues pouring into the ocean and the steam plume can be seen day and night from the Hawaii County lava viewing access road at the far end of highway 130 near Kalapana. 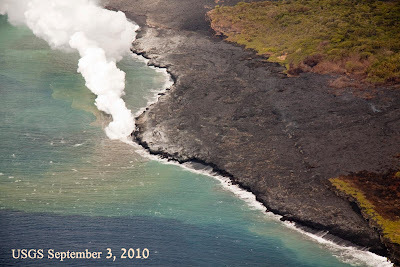 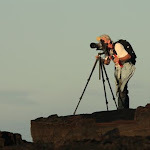 Another valuable agency involved with our volcanoes is the National Park Service under the US Department of the Interior that among many other things offer this continuous air quality monitor and warning system webpage for the Hawaii Volcanoes National Park area.